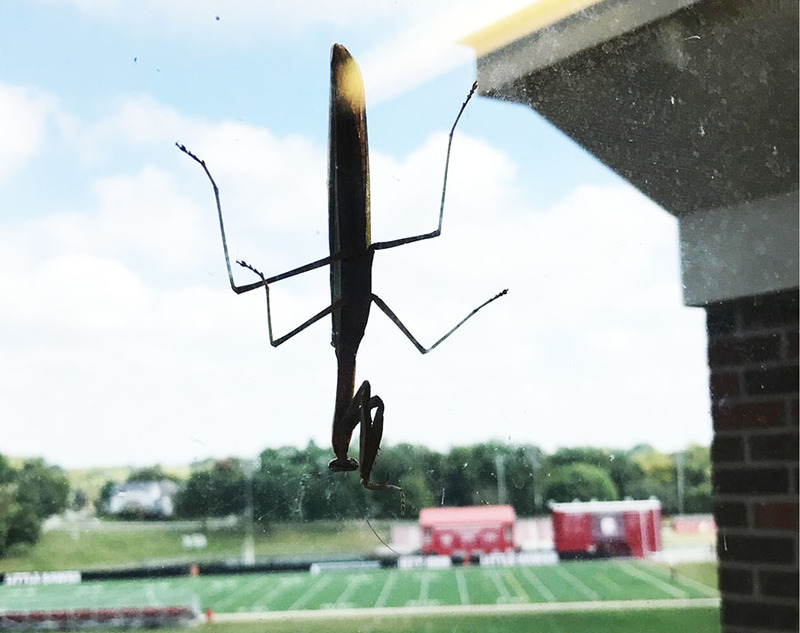 Churchill the praying mantis appeared mysteriously on the stairwell window today on the second floor. His treacherous climb has culminated in his current dwelling outside the third floor and he shows no signs of attempted descent. Churchill’s new dwelling place may not be the most comfortable, but for this little bug, it’s home.